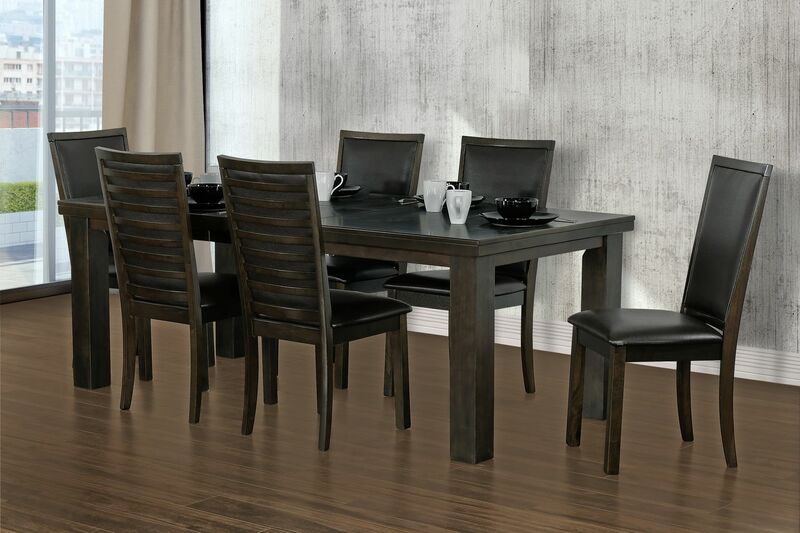 The Ryan Traditional Height Dining Table, with its classic design and beautiful birch sap veneer will make an elegant statement in your dining area. 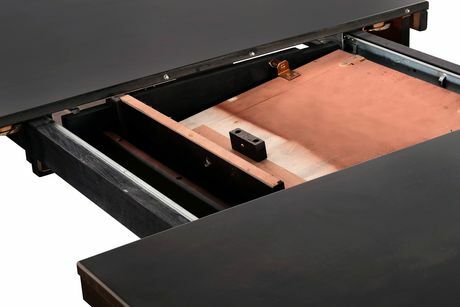 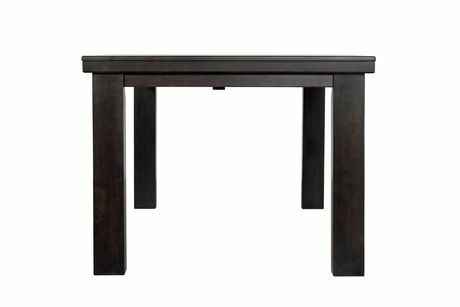 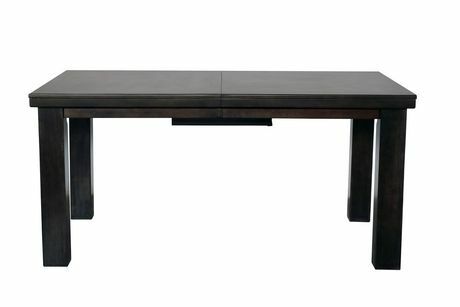 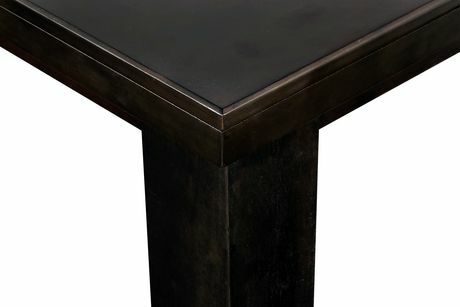 The clean, straight edges of its table top and legs give the table a sleek, modern look. 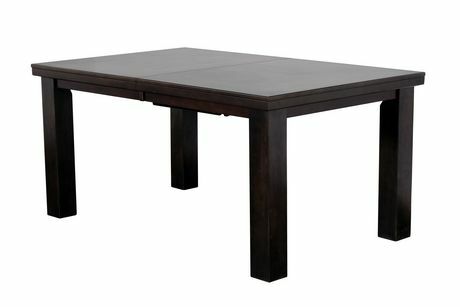 It is equipped with a discreet 18” leaf, expandable to accommodate up to 6 people. 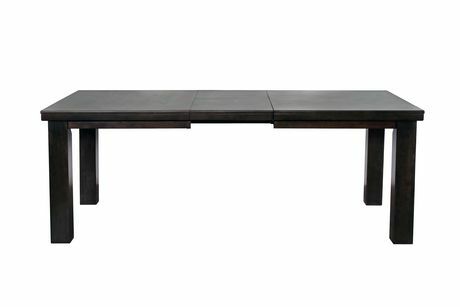 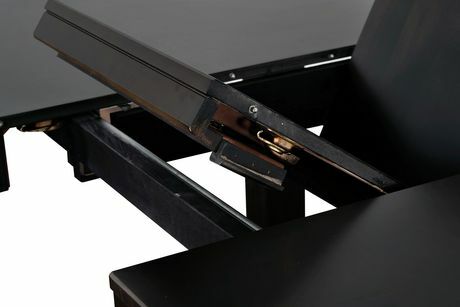 When not needed, the leaf glides easily along an iron slide to shorten the length of the table to seat 4 people. 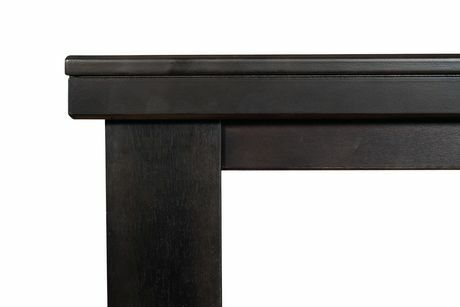 The quality hardwood used in its build promises longevity and sturdiness. Complete the posh look of your dining room by purchasing the matching upholstered side chairs (sold separately, in a pack of 2 chairs).